And She Does (Does Me Good) - Talking Heads have a song called And She Was... At first I wanted to sing like Bryan Ferry ( my old brother would often play Roxy Music records when I was a teenager) singing on the Velvet Underground's Waiting For the Man track, but it was naturally getting closer to my all time favourite Rocket From A Bottle by XTC. 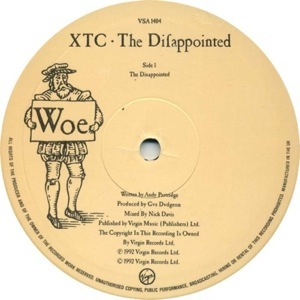 The Disappointed (XTC) - I hope this version doesn't insult the best track on their Nonsuch album. Hanyu No Yado (Home Sweet Home) - I picked up this old song because I wanted to put a Japanese song on the album and also because it was not originally a Japanese song actually - originally made for the opera Clari, Maid of Milan, a play about an Italian, words written by an American and music by an English! Like the song's interesting travel around the world and what the words said, I wanted it to be the mixture of many different things - the traditional Japanese fete rhythms and percussions with the syhthesizers symbolizing technology, or singing in Japanese in the wind of a Chinese flute. - An evolution in your music after more 10 years of recording ? About song writing, in terms of both lyrics and song crafting, I think I have gradually learned to focus on what I want to express. Now I feel I can approach the proper expression easilier than 10 years ago or so. As for the arrangement, the progress in recording equipments is really amazing. 20 years ago when we recorded the 1st album, little did I imagine the recording circumstances now I'm in. - You're definitely the fan of the English band XTC. You signed a cover of The disappointed. 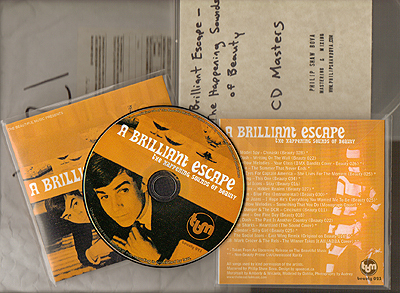 A different version of the original, like your own universe, more acoustic. This song has a signification for you ? Of all their albums, Nonsuch is I think the best work of the band as a trio. And The Disappointed is the best track (along with Wrapped In Grey), so covering the song was just like trying to reach the crest of an extremely high mountain! Avoiding making it sound like an exact copy, I wanted it not to be some sort of insult to the best pop band in the 80s but to be a testimonial letter saying "thank you very much for rescuing me in my younger days"! 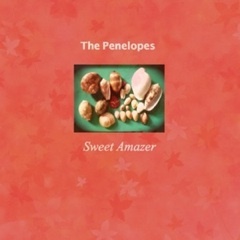 Sweet Amazer - A very simple pop song about the elation when falling in love. Unlike the usual way I write songs, I crafted it without leaving an acoustic demo. it became the first result from the new recording environment (Logic Studio). 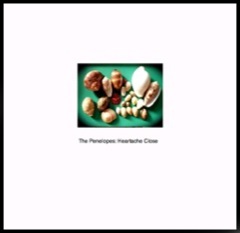 Heartache Close - Motownesque pop meets me in Takarazuka... I quite like Heartache Avenue by The Maisonettes (1982) and I got absorbed in an idea of the song starting with the word "Heartache". My hometown Takarazuka has a lot of closes, blind alleys, which reminded me of the state of our minds - the worries after the Fukushima nuke plants accidents. In the beginning it was a broken hearted song but on the way it got out of the usual assembly line and went into the close. Cloudcastle - Another song with no acoustic demo. I had put it aside for a long time and suddenly thought of this would-be Beach Boys arrangement. Larkspur - Inspired by Burt Bacharach stuff in the late 60's. This Guy's In Love by B.J. Thomas is one of the perfect pop songs to me. I don't know why but I always seem to have been hearing it in my whole life.